The Lou-Lou Bells overall have become a signature item for Wrangler so it only made sense to introduce one in a 70's inspired cord fabrication. The details of this overall were taken from a pair of vintage overalls found overseas by one of our designers. 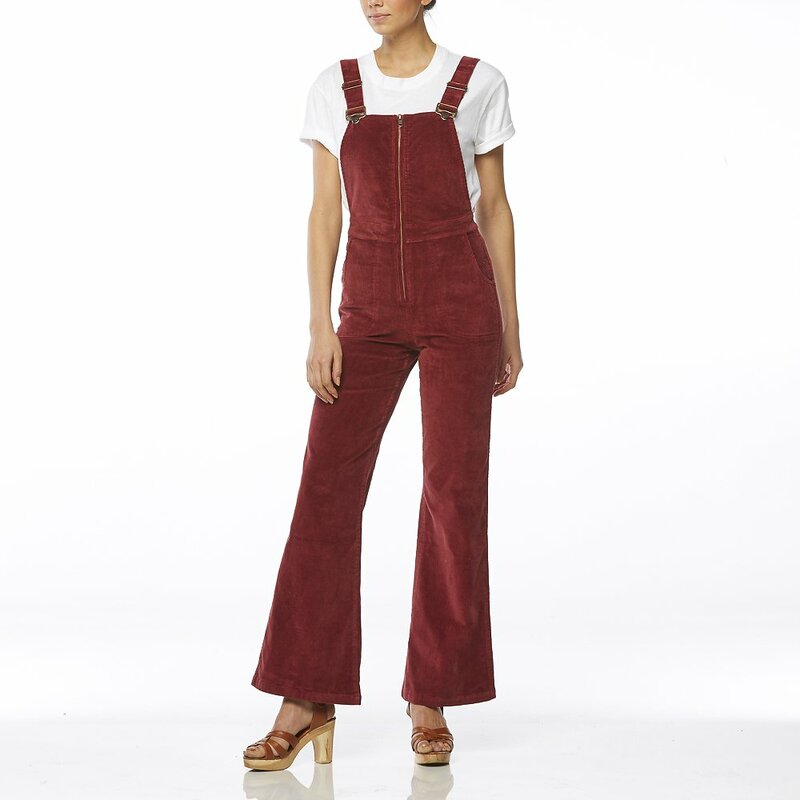 Made from a comfort stretch 12 wale garnet corduroy this is a flattering bells silhouette from the waist down, designed to be worn snug on your hips. It's got a zip through front and adjustable straps making them easy to wear, with stitched down hip pockets for some super retro styling. We've finished them off with the traditional Wrangler pockets and twin needle w deck stitch.